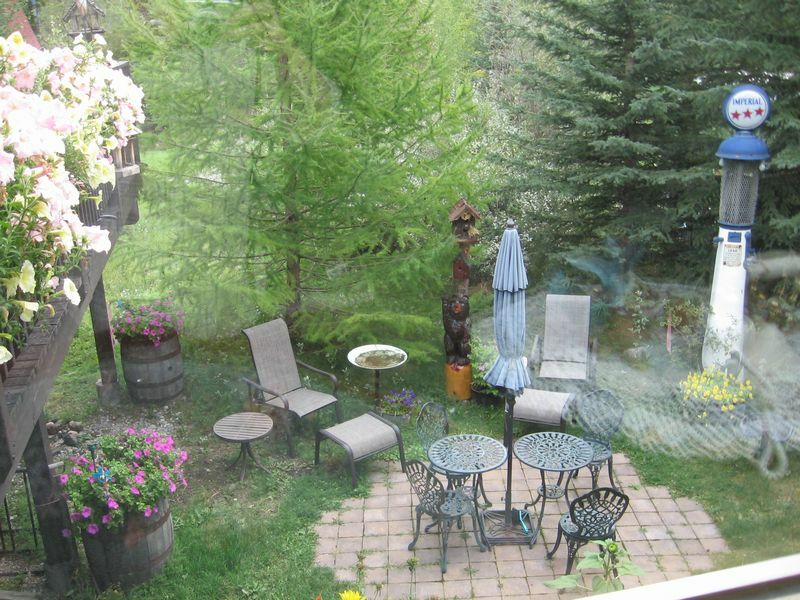 Homestead Bed & Breakfast - Canmore Alberta b&b (bed and breakfast) lodging accommodations. 21 Years Hosting the World! 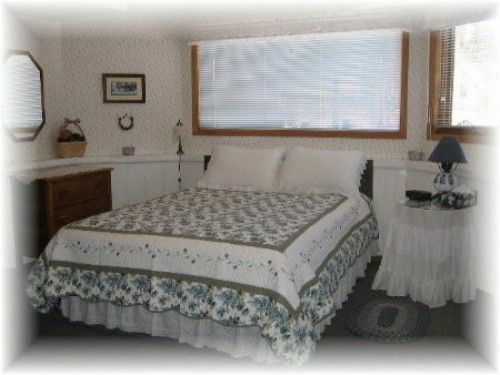 Was built with a separate B&B area, B&B furnace and extra sound proofing for privacy and comfort. 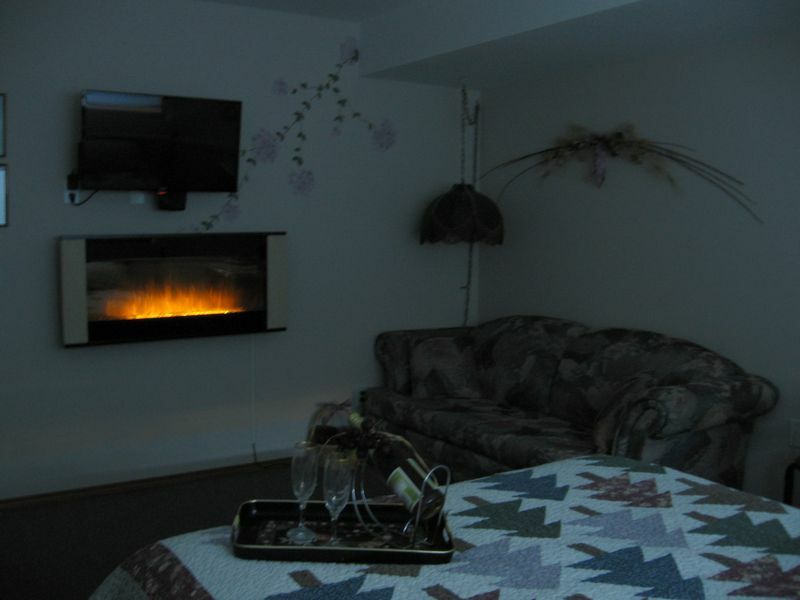 WARM & COZY in winter,with B&B furnace and Cozy INROOM Dimplex FIREPLACES, giving the perfect ambiance without overheating of gas or smoke and ash from wood. COOL in summer. Location & Ceiling Fans. 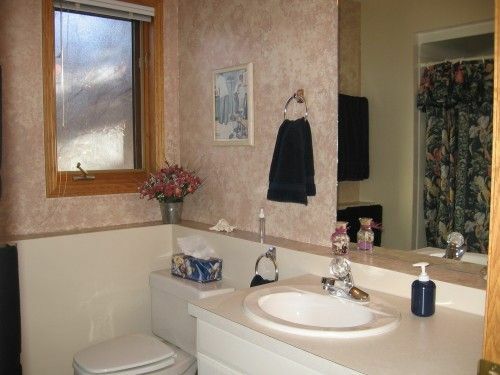 Located on the quiet side of the valley away from the trains and highway. Home-Cooked Breakfast Choice served at 8:30am or Self Serve with no set time. 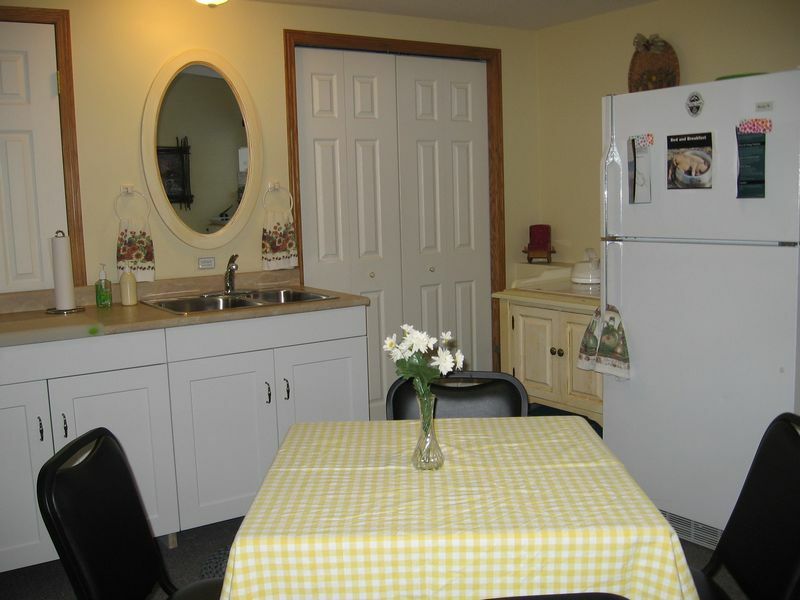 Breakfast served in your kitchenette to eat in or in summer take to your patio. 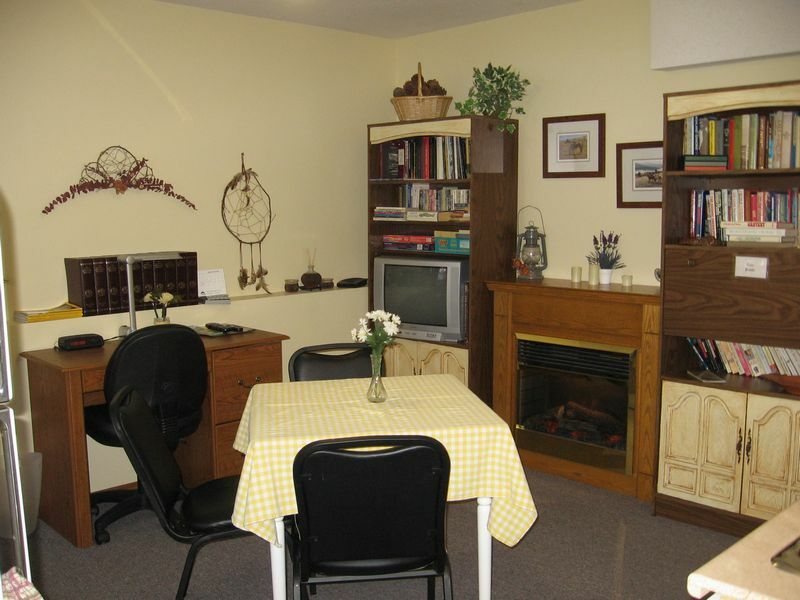 Well equipped Separate Kitchenette ideal for longer stays. Provides space for simple meal preparation to eat in or take to your patio or for picniking. No need to do dishes just put in the bin for us to put through the dishwasher. 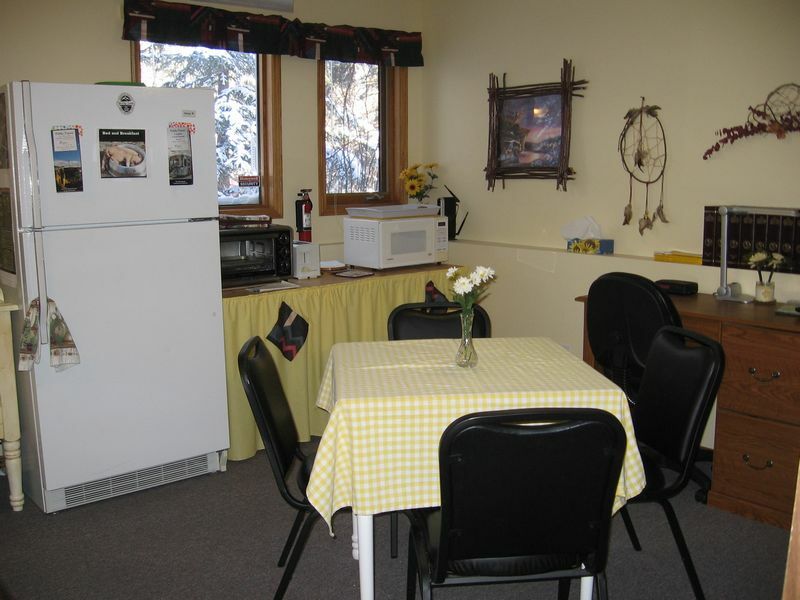 Kitchenette offers: (please read carefully) full size refrigerator, microwave, coffee maker, kettle, toaster oven, egg poacher/boiler, dishes, cuttlery, eating area, sink, picnic coolers & table cloths,desk, library, games, TV. 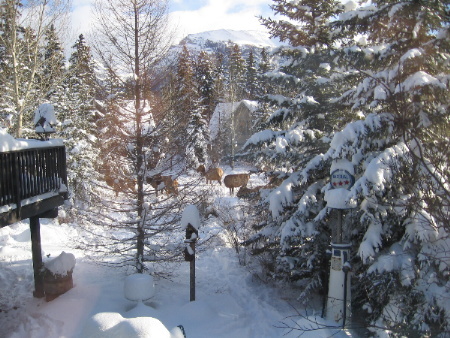 Your Suite is Licensed and approved by the town of Canmore and inspected by the Health Department and Association. Summer Splendour peaceful and relaxing or go on a different scenic adventure each day. Please note November - mid May only self-serve breakfast will be offered. Please see website for details. 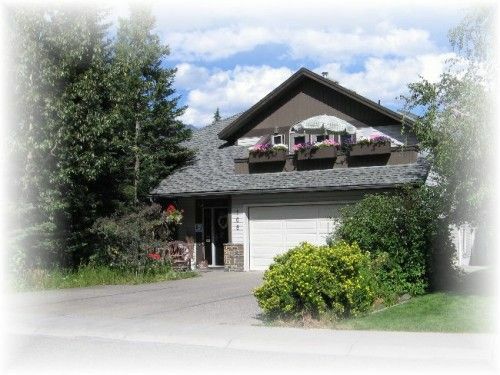 Ski 4 different ski hills, cross country for miles or relax and enjoy the many spas and restaurants in the area. April & May Best of Both Worlds. 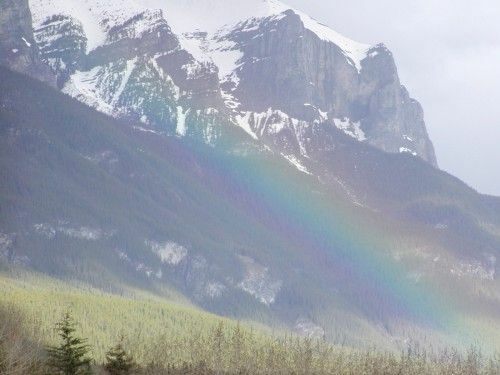 Ski and hike, bike or possibly golf in the valley. October enjoy the fall colours. NO tax will be added to rates. 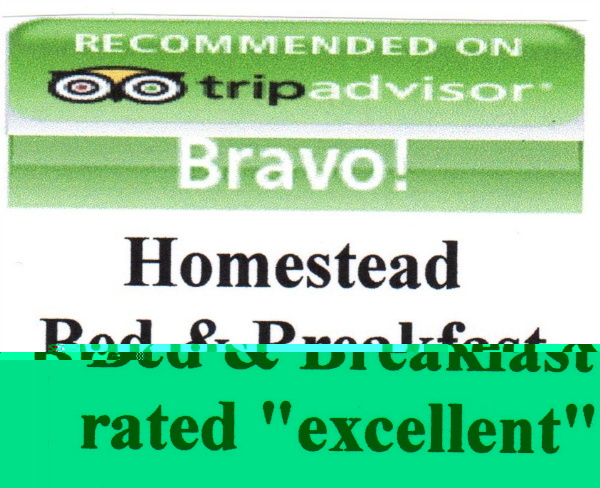 June to September, Minimum 2 or more consecutive night stays. Reservation Policy: To arrange a reservation we will need a Visa or Mastercard number with exp. date to hold the room. We will then send a confirmation letter.